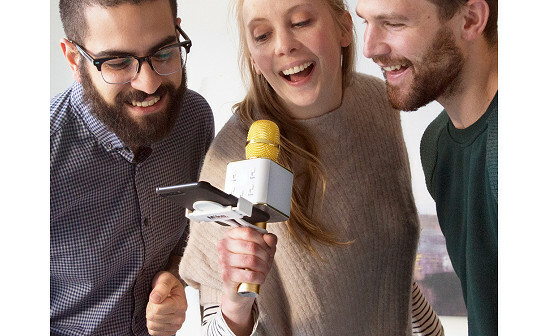 Whether you’re in front of a mirror or a group of friends, this Bluetooth karaoke microphone sets the stage for some serious or not-so-serious entertainment. 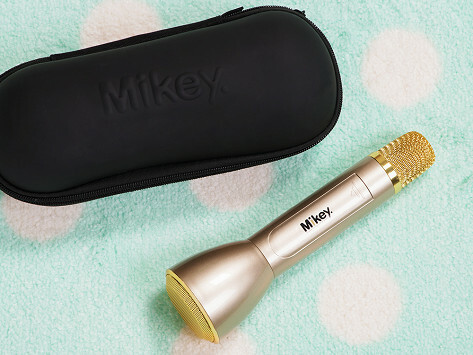 It’s a speaker-meets-microphone that pairs with your phones to project music and voice in one unified tune. Take it anywhere and record your audio performances to replay them whenever you want. Our grandchildren loved this so much we decided to buy a second one! Unfortunately this broke shortly after opening as . A Christmas gift. You literally have to spit into the microphone to produce sound output. We thought this would be fun for our boat karaoke parties, as we sing a lot as a group.